Anyone else feeling the Spring feels? Yep us too. 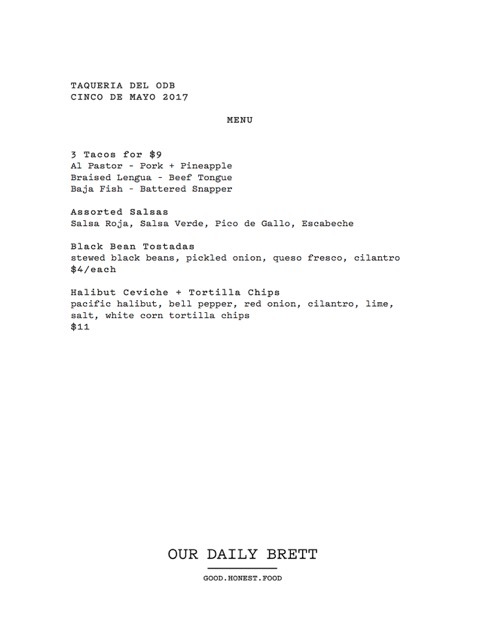 The sun is out, the sky is blue and tacos are on the menu at ODB this Friday which also happens to be Cinco de Mayo. 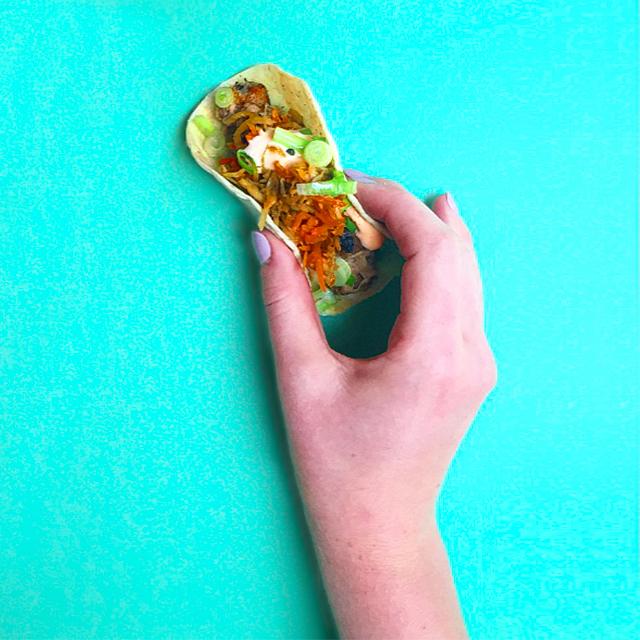 We'll be serving made-to-order tacos, tostadas and ceviche from 11AM-4PM this Friday, May 5 plus preparing grab-and-go taco-kits which will be ready at 4PM (we recommend enjoying in your backyard with a sweet and smoky and salty Mescal Margarita in hand). See the full menu made-to-order below!